Buyers Purchasing a home is for most people the most economically significant transaction of their lives. To purchase property and undertake the financial responsibility of a mortgage without the assistance of a personal advocate is a risk not worth taking. 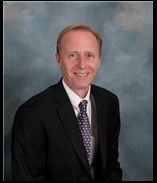 Mr. McIntyre has represented buyers, sellers and lenders. He handles most real estate transactions on a flat fee basis, so you know the cost of receiving quality legal representation right up front. Mr. McIntyre's philosophy for real estate transactions is that there is no such thing as a stupid question. He feels strongly that all buyers and sellers of real estate should have an advocate with only the client's interests in mind. Remember the broker works for the seller and the banks lawyer does not represent you. Under Massachusetts law the offer to purchase real estate is an important and potentially binding contract, and not an irrelevant step toward purchasing property. Mr. McIntyre recommends that you consult an attorney prior to signing the offer to purchase, even before the purchase and sale agreement. After the purchase and sale agreement is signed, legal representation can help to protect your rights under the contract and to ensure the title to the property is good. Sellers If you a intend to sell property, Mr. McIntyre recommends that you seek legal advice before you even enter into a listing agreement with a broker. Many of the terms are negotiable, including the length of time the listing will be exclusive, and the circumstances under which a commission must be paid. As a seller, your concerns may be narrower than those of a buyer, but a purchase and sales agreement contains rights and obligations of both the buyer and the seller. An experienced real estate attorney whose only concern is his client's interest is an invaluable asset. At closing, we will prepare the transfer documentation required to transfer your ownership to the purchaser and the related documentation, and make sure you are not paying any transaction costs that you have not agreed to pay. Having your own attorney provides you with the fullest protection possible and ensures that your rights will be protected throughout the closing process.